I’ve made a few attempts at rain sticks in the past, because I’ve always loved the sound, but I have never really had one that I thought was actually successful, till now. 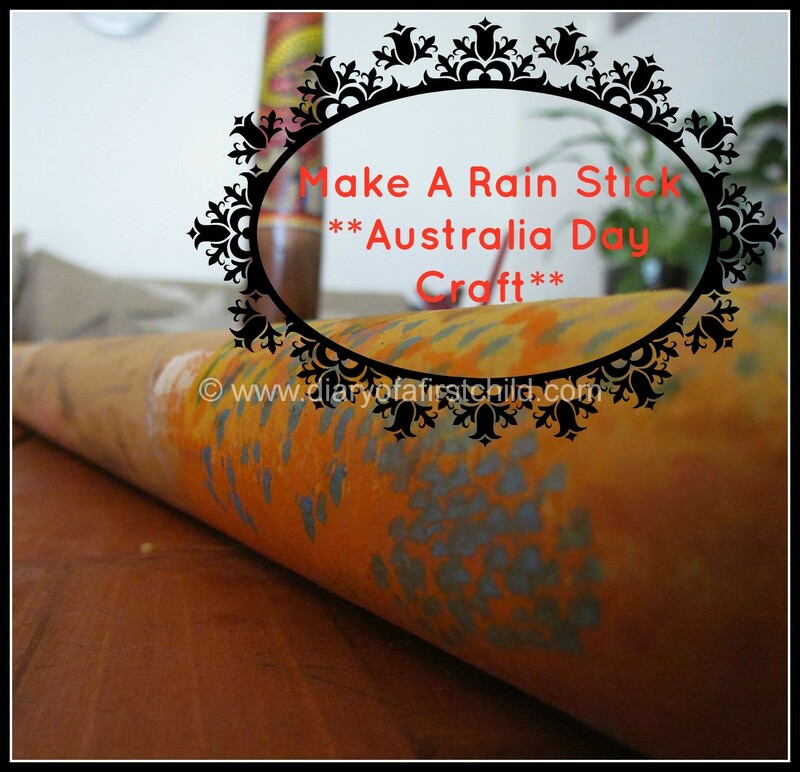 Because it’s Australia Day this weekend, our playlearning theme for this week has been Australia, and today’s task was to make a rain stick. 1. Start by decorating your tube. We used our didgeridoo for inspiration. 2. 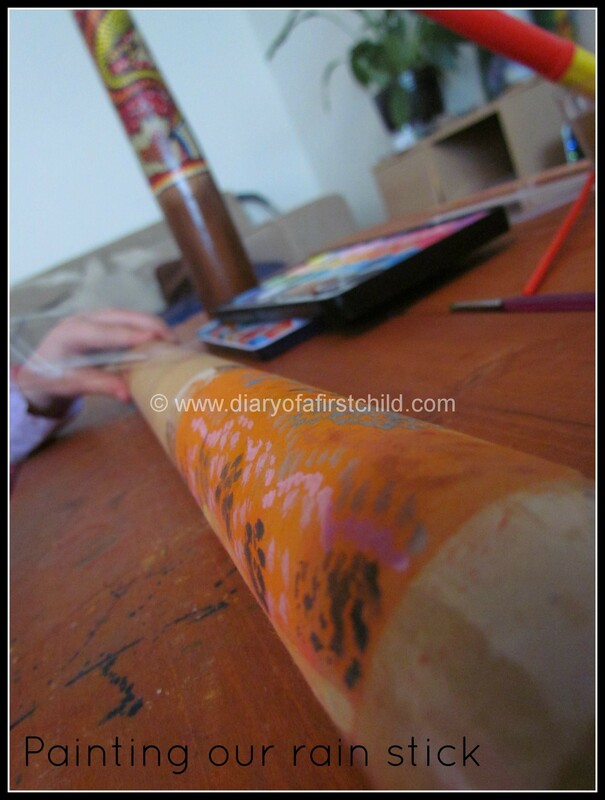 Take a length of wrapping paper and twist it around and around (each take a side, and turn in opposite directions), then slide it inside the decorated tube. 3. Using a spare bit of wrapping paper, cut two circles, large enough to cover the ends of the tube. 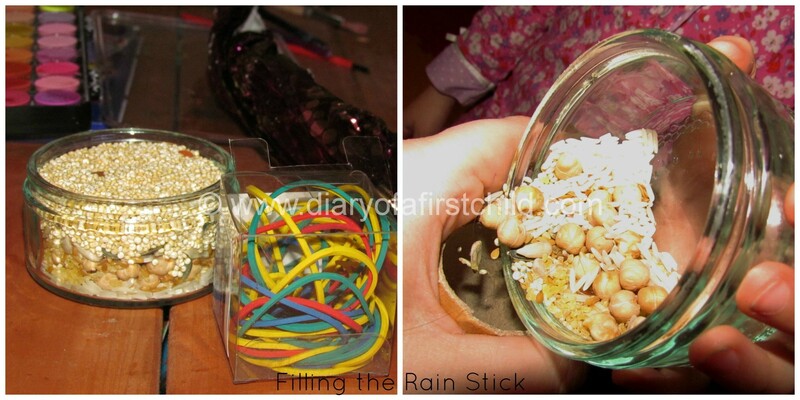 Attach one side using an elastic, pour the grains inside and seal the other end. 4. 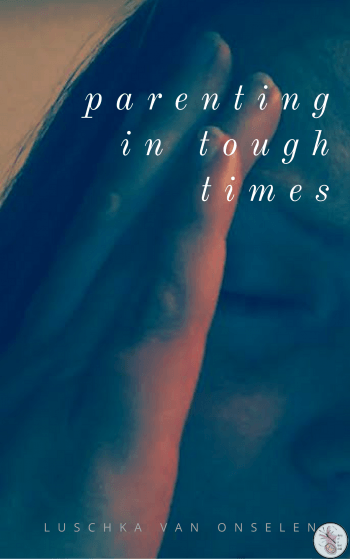 Gently tilt the stick from side to side, closing your eyes to hear the rain. Kind of like this… but maybe a little less vigorous!